With the teams in second and third place clashing on Thursday night, some basketball fans may be forgiven for overlooking the other team with a 7-4 record playing on the same evening. The away team head to Turkey know that if they grab the win, they could be in the playoffs by the weekend if the Friday night game between Malaga and Efes goes their way. The hosts may feel as though someone else is planning a party in their home but don’t expect Darussafaka to lie down and roll over just because Panathinaikos are looking for a win. The playoffs are beyond the Turkish team but they’ll be keen to reward their fans with a strong showing and maybe even a win. 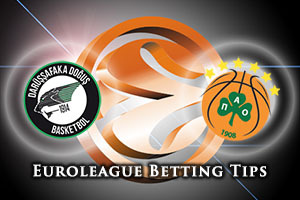 This has been their debut season in the Euroleague and there has been plenty of promise from the Turkish side and this could be another game where they learn and develop for another crack at the big league next season. 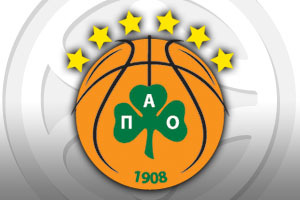 For Panathinaikos to progress to the playoffs this week, they need both Istanbul clubs to lose. Panathinaikos can do half the job themselves, in Turkey, while they also need Anadolu Efes Istanbul to succumb to Unicaja Malaga. Malaga will find themselves with a lot of additional fans this week as they could also place another team into the playoffs if they can deliver a win. Panathinaikos won the earlier clash of these two teams, an 82-79 win in Athens, with Nick Calathes and Miroslav Raduljica being in fine form in that game. James Gist and Dimitris Diamantidis can still do the damage for the Greeks and it could be a great week for the Green team from Athens. While it could be a close game, the bookmakers place the Greek side as favourites and you can see why backing Panathinaikos Athens at -3.5, at odds of 1.90, is likely to be a good bet this week. If you are looking for the Over/Under market, look to go OVER 148.0, which you can find at odds of 1.90. Bet Now!